We understand the importance to your business of avoiding&nbsp;having down-time. Do you require London Office Removals? Get an unbiased quote! Here at Mr Shifter Bespoke Removals London we understand the importance of commercial removals and the importance to your business of avoiding Having down-time when moving offices, which can obviously have a huge impact on customer service and sales. As businesses progress and grow additional office space is paramount and usually a necessity. This is an area Mr Shifter Bespoke Removals excel, by offering an efficient, professional and affordable office removal service, ensuring a seamless transition from your old premises to the new. 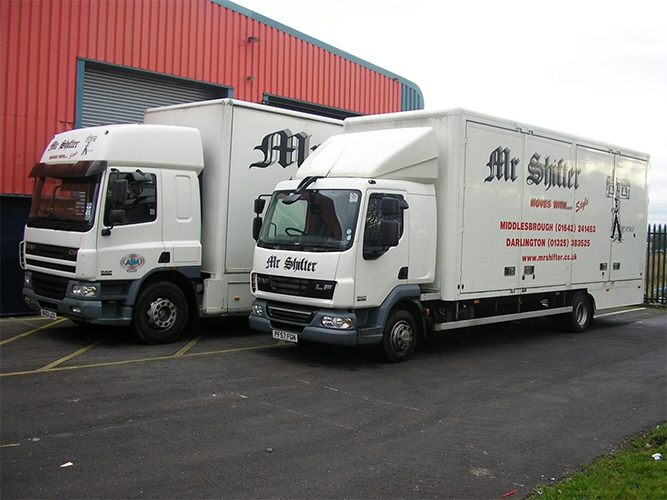 Mr Shifter Bespoke Removals has an unrivalled dedication to the removals industry and this has been accomplished through 35 years of dedication in providing swift and secure services to corporate clients large and small. Our services have stretched from moving large scale global operations to local, small business and council office relocations. With over 40 years experience you will benefit from the peace of mind that your removal is being handled by one of the best London commercial removals firms in the industry. Our Office staff will handle your initial and follow up contact meetings. We will obtain detailed and specific requirements of your individual removal needs. Provide a detailed operation plan of the method by how the removals will be planned and carried out. Provide all the necessary Furniture removal service provisions to complete the safe handling of your goods. Provide full furniture services, including but not limited to furniture dismantling and reassembly. Provide on-site and off-site removals services for your individual commercial removal needs. Choosing the right London removals company for your office relocation comes down to having the right expertise and strategy to conduct a direct move. We aim to provide a removals service that has the minimum impact on your business. After one of our surveyors has assessed your requirements, we will begin planning alongside you how to ensure the swift execution of your office relocation, planning how and when your office furniture, work stations, IT equipment and documents will be in transit to your new office. We can provide a wide variety of removal services, tailored to your relocation’s specific needs; including furniture dismantling, IT migration, Full packing services and document storage. We have assisted countless businesses throughout London with their office removal. Our team work by evaluating the scale of your business, and its objectives to minimise the impact of the relocation to ensure the business can operate effectively throughout the entire process.